The identity of terrorist who carried out this wretched suicide attack has been determined. This person, this terrorist is Mehmet Öztürk, born in 1992 and registered from the Gaziantep Province. Current findings show that the terrorist has links to the Daesh [Islamic State] terror organization. Ala said that five suspects have been detained over the bombing. 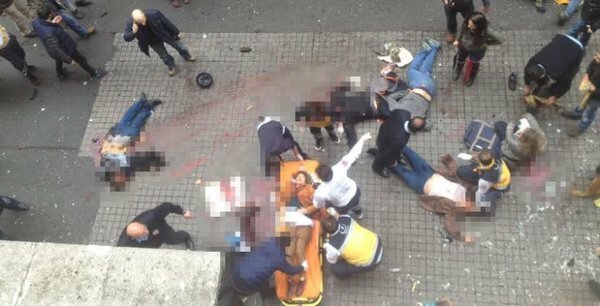 UPDATE, MARCH 20, 0900 GMT: The toll from Saturday’s Istanbul suicide bombing is now five dead and 39 wounded. Four Israelis, including two dual Israeli-American nationals, and an Iranian were killed. Of the injured, 24 are foreigners. Seven of the wounded are in critical condition. There has been no claim of responsibility. The Islamic State has carried out suicide bombings in Turkey since last summer, but the last two attacks, both in Ankara, were claimed by the Kurdish Freedom Falcons (TAK), an offshoot of the Turkish Kurdish insurgency PKK. On behalf of my country, nation and government, I condemn the murderers who committed this atrocious attack which directly targeted people without any discrimination, as well as all traitors who supported and instigated them to carry out such an inhuman act. Davutoğlu vowed that Turkey would continue its fight against terrorism with the same determination “until it is completely eradicated”. 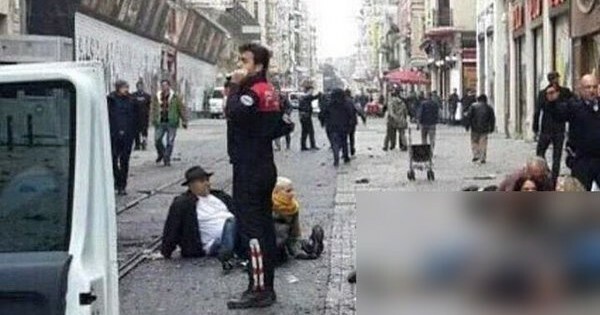 ORIGINAL ENTRY, MARCH 19: Five people have been killed and at least 36 others injured in the latest suicide bombing in Turkey. Among the dead are an Israeli and an Iranian, according to a Turkish official. Of the wounded, three of whom are in critical condition, there are 12 foreigners. Saturday’s explosion was in central Istanbul on a busy pedestrian avenue near a shopping mall. A local reporter indicated the suicide attacker was on his way to his target when the bomb went off in front of a döner kebab restaurant. There have been a series of deadly bombings since last July. Some have been attributed to the Islamic State, but two recent attacks in Ankara — including an attack last Sunday that killed 37 people — have been claimed by the Kurdish Freedom Falcons (TAK), an offshoot of the Turkish Kurdish insurgency PKK. PreviousBritain Analysis: Should We Fear the Snooper’s Charter?